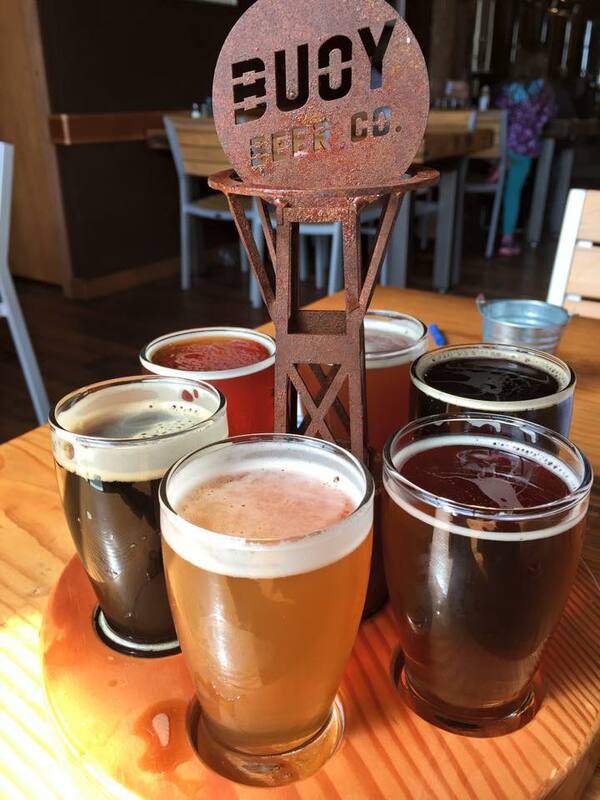 Because it's ok to love your kids and your beer! 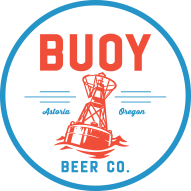 We just got back from a wonderful spring break, and we FINALLY had a chance to stop at Buoy Beer Co. in Astoria. It seems like lately when we have headed down to the Coast we are passing through Astoria a little to late to stop, so we were happy to get to stop for lunch! When we pulled up to the brewery we were greeted with the barking sounds of Sea Lions. So we had to take a little detour and go look the lions that were lounging under the pier. Little did we know that once we got inside we would be able to see them louning under the restaurant! 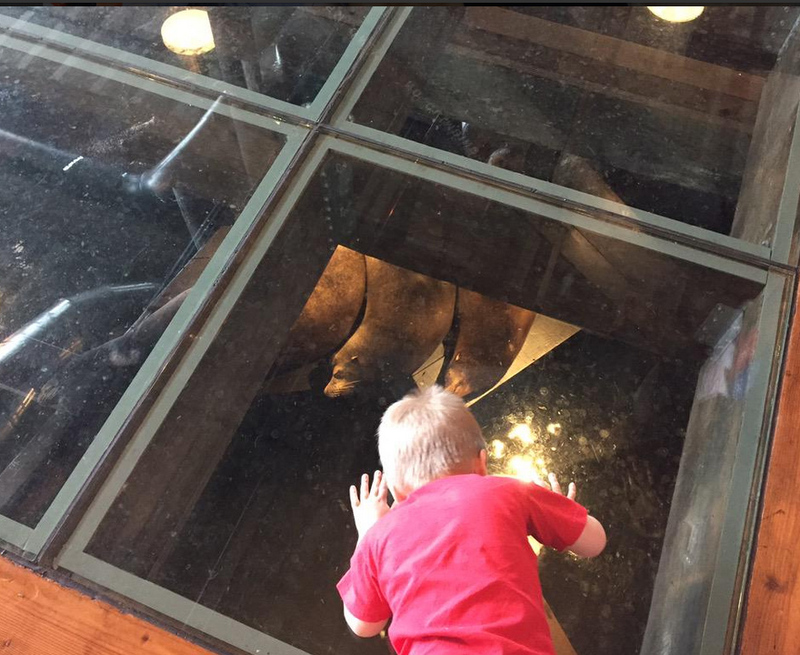 One of the very cool and half pint friendly thing about this place is the glass floor where you can see through to the water below (only bad part was we couldn’t tear our son away!). When we got there (around 1) they were really busy, and it was about a 20 minute wait to sit out in the main restaurant, or no wait to sit in the tap room…so we opted for the tap room. The hostess told us that if you want to get a seat in the restaurant it’s best to get there right when they open at 11. I actually liked it better because there was a little more room to move, and with a kid in tow you always want to eat as soon as possible. They were out of a lot of their beers while we were there, so we didn’t get to try a few that I was really looking forward to trying–but I liked their pale. The food was your normal coast bar food, and I would have liked to see a few non-fried seafood options…but it was a nice menu. I really wish we had tried more appetizers, because as we saw them coming out to tables around us I was getting jealous!! This place is super kid friendly however, and I recommend it to families if they are passing through.